Founded in 1999, Angeiolino Maule’s nine-hectare estate is located in Gambellara in the foothills of the Soave region. The estate-grown Garganega and Trebbiano grapes in this 80-20 blend come from biodynamically farmed vines rooted in volcanic soil. Manually harvested. Direct pressed. Vinified in stainless steel in small batches. Fermented with indigenous yeasts. No additives except a tiny amount of sulphur at bottling. Unfiltered and unfined. Reducing sugar: <1.2 g/l. 11% ABV. Quebec agent: Labelle Bouteille. Located in Valdobbiandene in the Veneto, Costadilà is best known as a producer of Prosecco. The small estate practices organic polycultural farming, uses only indigenous yeasts and never filters or adds sulphur. This is a blend of Refosco and Merlot. 10.5% ABV (!). Quebec agent: Glou. Cantina Collecapretta is located about 20 km north-northwest of Spoleto. Of the estate’s eight hectares, only four are given over to vines, the remainder being planted with olive trees, farro and other ancient grains. In a good year, the wine production totals 8,000 bottles. Farming is organic. The grapes are manually harvested and fermented in open-top cement vats with no temperature control. The wines are matured in glass-lined cement vats and resin tanks before being bottled unfiltered and in accordance with the lunar cycle. No sulphur is added at any point in the process. 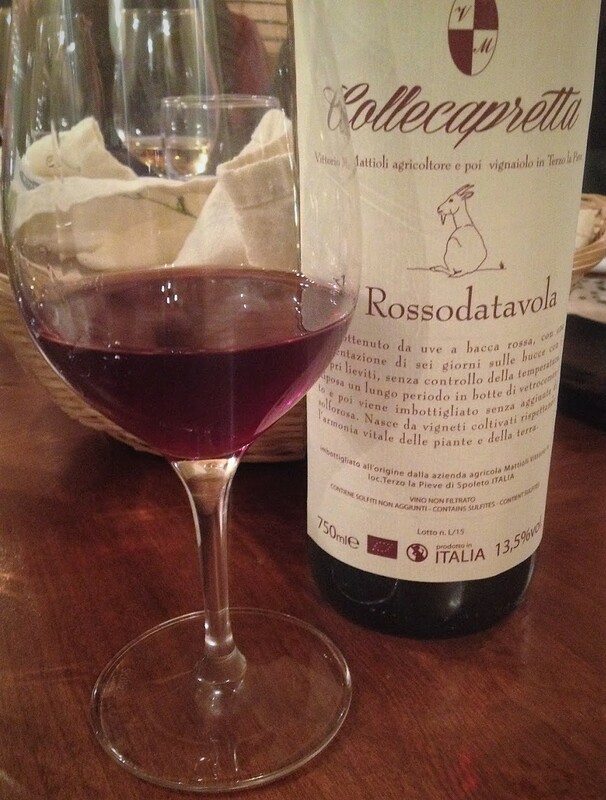 This red table wine is mostly Sangiovese, maybe with a little Barbera, Merlot, Sagrantino and/or Ciliegiolo. 13.5% ABV. Quebec agent: Glou. 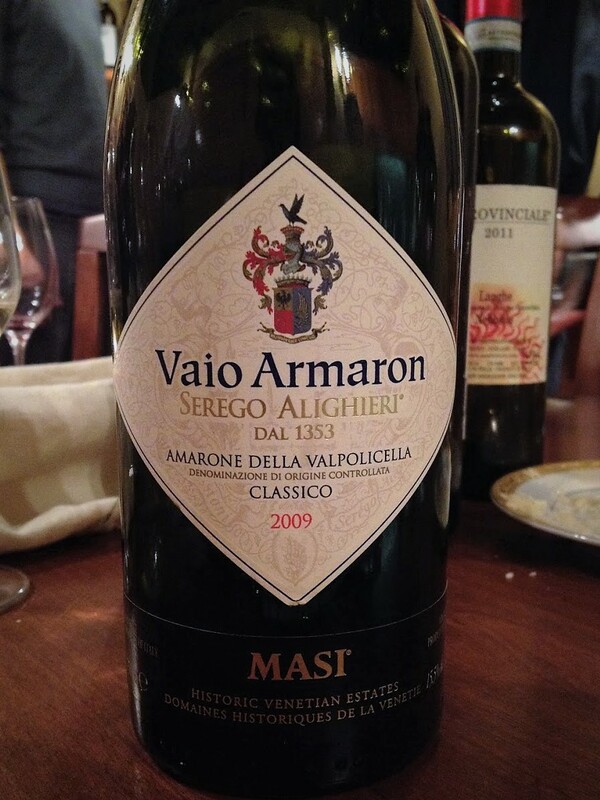 Now owned by Masi, the Serego Alighieri estate was founded in 1353 by Dante’s son Pietro. Wine-making officially began in the 1500s. The Vaio Amaron is its flagship bottling. The 2009 is a blend of Corvina (65%), Rondinella (20%) and Molinara (15%) from vines in the commune of Sant’Ambrogio di Valpolicella. The soil in the terraced vineyards is red, humus-rich topsoil over limestone. The Corvina was lightly affected by botrytis. The manually harvested grapes were placed on bamboo mats in open-air lofts and allowed to dry for three to four months, during which time they lost more than a third of their weight. This concentrated their flavour and sugar. The partially raisinated grapes were gently pressed, partly destemmed and fermented at low temperatures for 48 days in large Slavonian oak barrels. The wine then underwent malolactic fermentation and was matured in cherry wood casks. Reducing sugar: 7.9 g/l. 15.5% ABV. Quebec agent: Authentic Vins et Spirituex. Before founding Zýmè in 1999, winemaker Celestino Gaspari worked with Giuseppe Quintarelli for many years, eventually becoming his son-in-law. 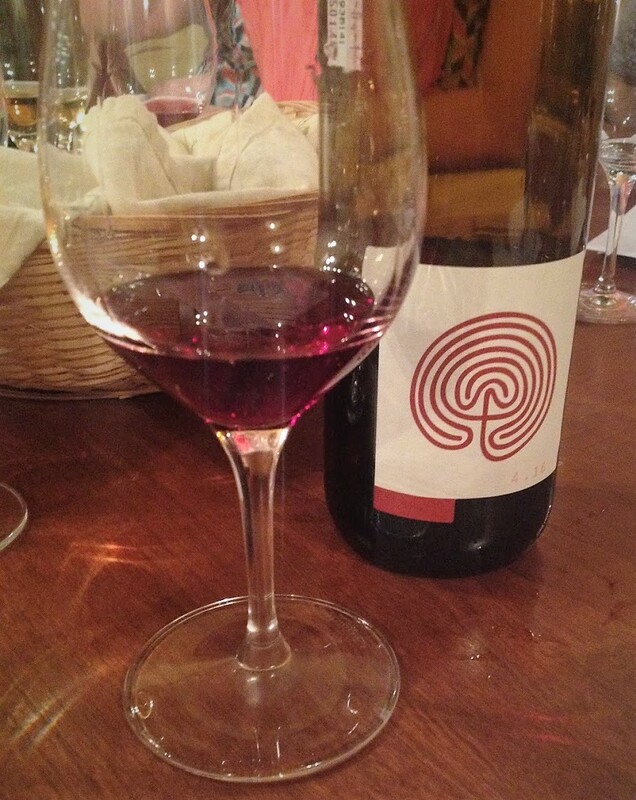 Typically 40% Corvina, 30% Corvinone, 15% Rondinella and 5% Oseleta from vines rooted in limestone and clay. The grapes are manually harvested and immediately pressed. Initial alcoholic fermentation takes place in non-temperature-controlled vats. In January, the wine is racked onto the lees of the estate’s Amarone (the process is called ripasso in Italian). A second alcoholic fermentation lasting about two weeks then takes place. The fermented wine is racked into large Slavonian oak barrels and matured for around three years followed by another six months in the bottle. Residual sugar: 6 g/l. 13.5% ABV. Quebec agent: L’Enoteca. Typically 55% Corvina and Corvinone, 30% Rondinella and 15% Cabernet Sauvignon, Nebbiolo, Croatina and Sangiovese from uncertified but organically farmed vines averaging 30 years old and rooted in limestone and basalt. The grapes are manually harvested and immediately pressed. After three to four days’ maceration, primary alcoholic fermentation with indigenous yeasts takes place. In February, the wine is racked onto the lees from the estate’s Amarone. A second alcoholic fermentation then takes place. When fermentation is complete, the wine is racked into large Slavonian oak barrels and matured for seven years. 15% ABV. Quebec agent: L’Enoteca.